Been practicing freediving and studying a lot of fish indification and finally going on my first hunt ! I've been ready a lot about PV and crystal cove and had a few questions ! For crystal cove what are your main targets I imagine sheephead but am cuurious to what else. Also is PV a good spot for a beginner, heard it might be a bit 'toothy' , and also don't want to intrude upon a local spot if it's not as welcoming to newer spearos. Thanks for any answers !  Welcome to Deeper Blue. There are very few SoCal divers here, so I'm probably one of the only ones who even knows the spots you ask about and I haven't been to them in a long time, but I'll take a stab at it. Its probably been over 15 years since I dove Crystal Cove, but I think it is a good place for a beginner to start. However, it gets worked pretty hard since all of Laguna Beach to the south was closed to spearfishing a few years ago. There are spots to enter over sand beach rather than rocks. I think you may be right that sheephead are probably your best bet, although there is always a chance for a legal calico bass. There are a lot of areas of sand where you might find a nice halibut if you know what to look for. In fact the last time I dove there I recall diving between a couple of rock reefs and sitting the muzzle of my gun on the sand, only to have a halibut bolt out from under my tip. There is a chance for white sea bass too. In fact that was my excuse- I was looking out for a sea bass rather than down at the sand. PV offers many more opportunities. Its one of the best spots in SoCal for white sea bass and many big ones have been taken there this year. But before you shoot one, make sure you are properly equipped with a decent gun and a reel or breakaway float line. As you probably know, you have to hike down steep trails to get to the water at PV, and then you have to hike back up with your fish. Some trails are worse than others, but none are easy. At most PV spots you have to enter over rocks and it can be hairy if there is any surf. I'm not sure what you mean by toothy, but I'm assuming you mean sharks. Last year I heard that there were an unusual number of 7 gill sharks there, but they don't attack divers. However, they can attack your white sea bass if its wrapped up in the kelp on the bottom. Many divers are very protective of PV. After all, its right next to the Los Angeles Metropolitan area and when the word of white sea bass gets out, it can get very crowded. A friend of mine dove there yesterday and said the visibility was horrible and he didn't see any fish. But since white sea bass had been taken there the previous day, there were 10 divers on the spot. You aren't going to get a warm welcome, but they don't have any more right to dive there than you do. Just try to use common sense and don't crowd other divers. Watch how other divers enter and exit and learn from them. I tend to focus on white sea bass, but of course there are also calicos, sheephead and halibut. And sometimes there are even yellowtail. I know a guy who took a 40 pounder diving from the beach last year. You won't see me at PV. I'm too damn old climb the cliff, and not willing to tow my boat up through LA traffic to launch. I dive out of Dana Point Harbor. But if I can help with questions about equipment or anything, feel free to ask. Thanks so much I really appreciate the input! I have a SEAC Sting Sling Gun 65 cm, don't think that's up to par for WSB but will definitly have to try for them in the future ! A 65 cm gun is definitely not big enough for WSB. Even if you got close enough you would probably just wound the fish. Aye Bill, it would probably bounce off its eye ball ha ha. 55' mid-handle gun, 3 bands, 8mm shaft w pencil slip tip and 100-125' float line and carrot is the ticket. Hope you are getting out Bill, long time since chatting w you sir. I'm afraid I'm not getting out, and may not for months. Almost a month ago I had a skin cancer removed from my shin, and the surgeon ended up having to go down to my tibia to get all of it. In that first photo the white you can see is bone. The original plan was to put a skin graft on it, but he said the blood supply down there was insufficient to support a graft so he has to leave it open to heal. I can't pin him down on a schedule but he said it could take months before its safe to go back in the water without the danger of an infection that could cost me my leg. The second photo shows what it looked like a couple of days ago when I did one of my twice-daily dressing changes. You can't see bone, but it looks like it has a long way to go. Jeezo Bill, sorry to hear this. That looks painful pal, mend up soon. Take yer time sir, let it heal up, you'll need that leg for fightin yellows and such later this summer pal. I have not got a ghost this year yet, not for the want of tryin I can tell you. Seen and heard fish but not in any position to nail em. It'll happen. Be well pal, great to see you helping out on here. Here’s today’s shot. A little better. Still got a ways to go Bill but getting there. I showed your wounds to my kid who is a big abstained on the sunscreen, it may have woken him up, I sure hope so. How long has it been since the initial photo? It has been healing nicely then Bill. Hang in there pal. Hope you are out in the brine soon pal. Hi Bill, sorry to hear about getting skin cancer - looks nasty - but glad to hear you getting (hopefully prompt) treatment. Glad you are healing up @Bill McIntyre - nasty looking wound there. I have to say you got great healing skin! That was a pretty deep excavation (sorry but don’t know the proper word), but it sure looks like it is healing very well! Wish you all the best and a quick recovery and hope to see you in the wet soon again! Looking better today and not nearly as tender when I clean it and rub on antibiotic ointment. Maybe there is hope for late season. So a fisherman in a thresher tournament hooked a big thresher shark about a mile off Oceanside, CA. A great white estimated at 17 feet long cut in two with one bite. My skin isn't nearly as tough as thresher's.